This pack contains 42 various “I Support Single Moms” mud flaps for entertainment purposes which will allow you to customize your truck in a more traditional way. 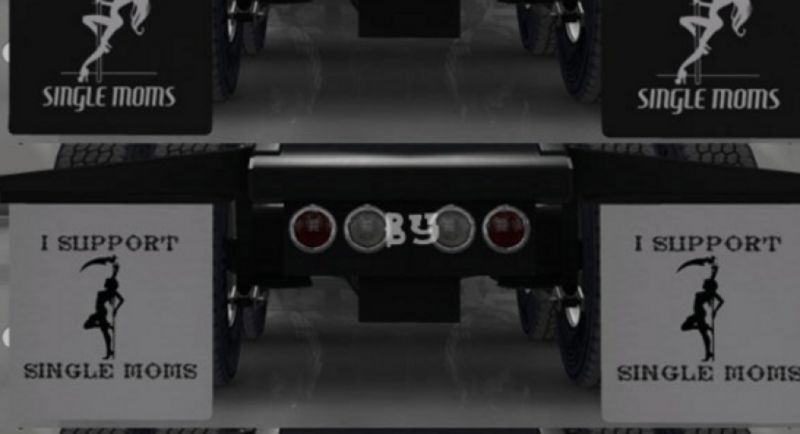 The intentions of this mod are purely to amuse everyone with truck flaps you normally wouldn’t see in the stock game! These mudflaps include high resolution textures so that they will look crisp and clear in game! While this modification does include support for selected custom trucks those trucks are not required in order to use this modification! * New Truck Supported! Support for Viper2’s Peterbilt 389 v2.0!